Comedy band, Irish bands, cover bands, Musician. We have amazing bands for corporate functions, bands for weddings, bands for concerts, bands for festivals, bands for conventions, bands for birthday parties, bands for any event in South Africa and internationally. We have one man bands, 2 piece bands also known as duos, all the way through to 5 piece bands, and even bigger bands. Whether you want the following types of bands; celebrity, international, comedy, cover band, an original band, Irish, an Afrikaans musician, a rock, a heavy metal band, a pop band, a party band, Oompah, Reggea, a Jazz Band, a Kwaito band, country, marimba, a Latin band, a cuban band, Mariachi, a Hip Hop band, an idols SA singer, a gospel singer or a gospel choir, an Afro Jazz Band, a Guitar Player, a Jazz Musician, a Solo Musician or even a beatboxer. We also book impersonators and tribute bands. We also have a good relationship with The SoapGirls. Whether you would like an Elvis impersonator, or a Roy Orbison impersonator, or even a U2 tribute band. 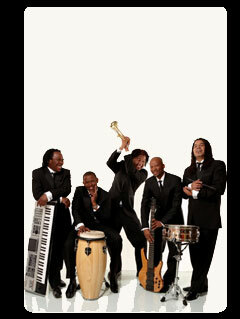 Most of our bands are based in Gauteng, Durban, and Cape Town. We also book bass players, guitarists, keyboard players / piano players, drummers, fiddlers, violinists, saxophonists and many other musicians. Book a Live Band Now.